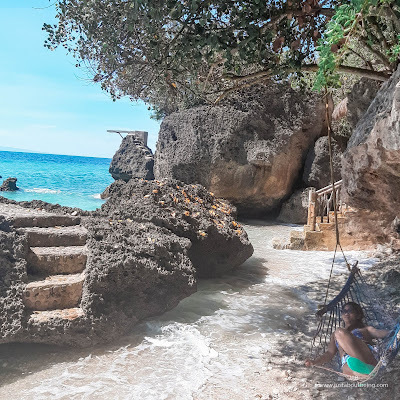 Random life experiences about being a freelancer, a traveler and everything in between. 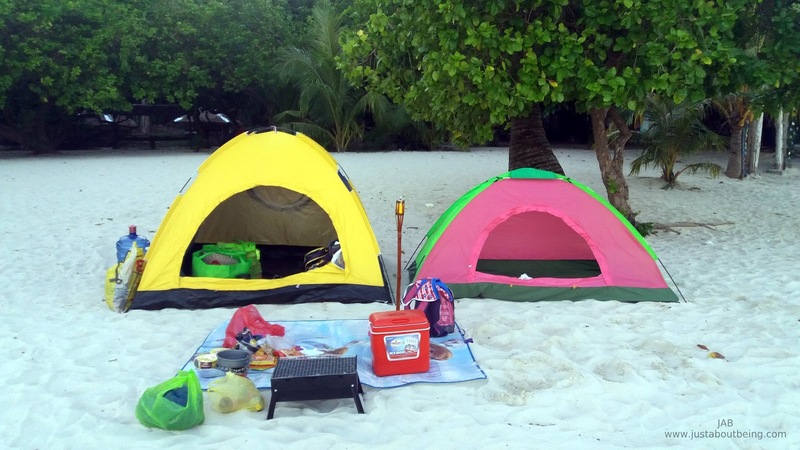 2-Night Family Camping in Canigao Island. After a day of swimming at Cancua-ay Private Beach Resort, we decided to have a quick visit to the famous heritage site in Oslob, the Cuartel. 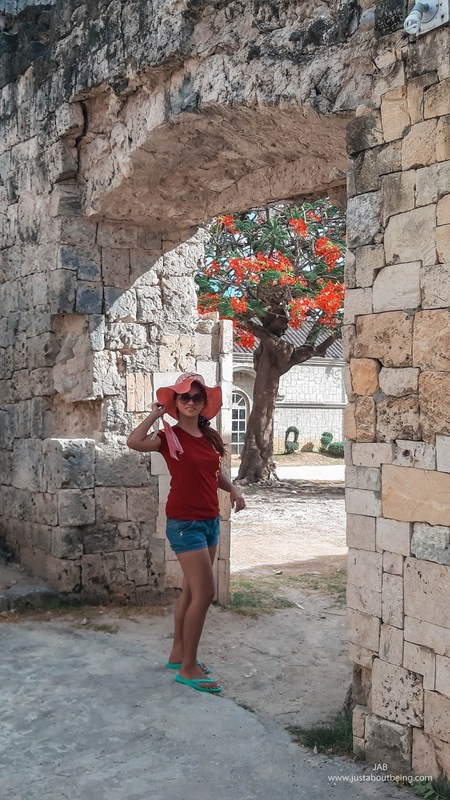 Cuartel is a Spanish word that means military barracks. This unfinished coral stone structure was built in 1960 to serve as military barracks for the Spanish armies. However, the construction had to stop as the Spanish regime ended. This building was never finished. 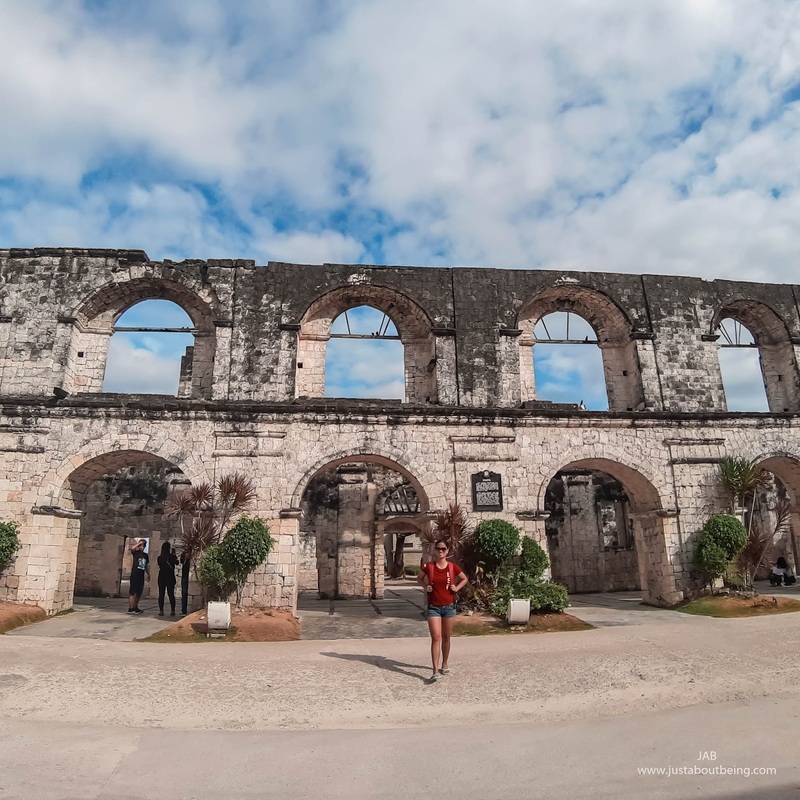 The Cuartel is situated at the end of the oldest street of Oslob, Calle Aragones. 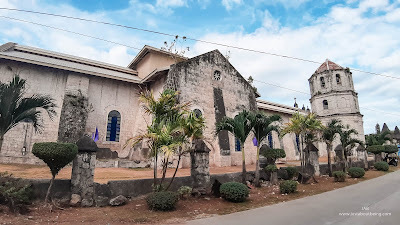 Calle Aragones was built in 1879 and was named after the first Oslob parish priest, Fr. Jose Aragones. Beside it is the Church of the Immaculate Conception. This coral stone church was built in 1830, was finished 18 years later and has withstood through time. 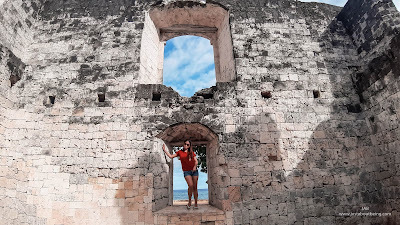 Outside of the church, along the coastline is the ruins of the Baluarte, one of the 7 watchtowers built along the coastline of Oslob. 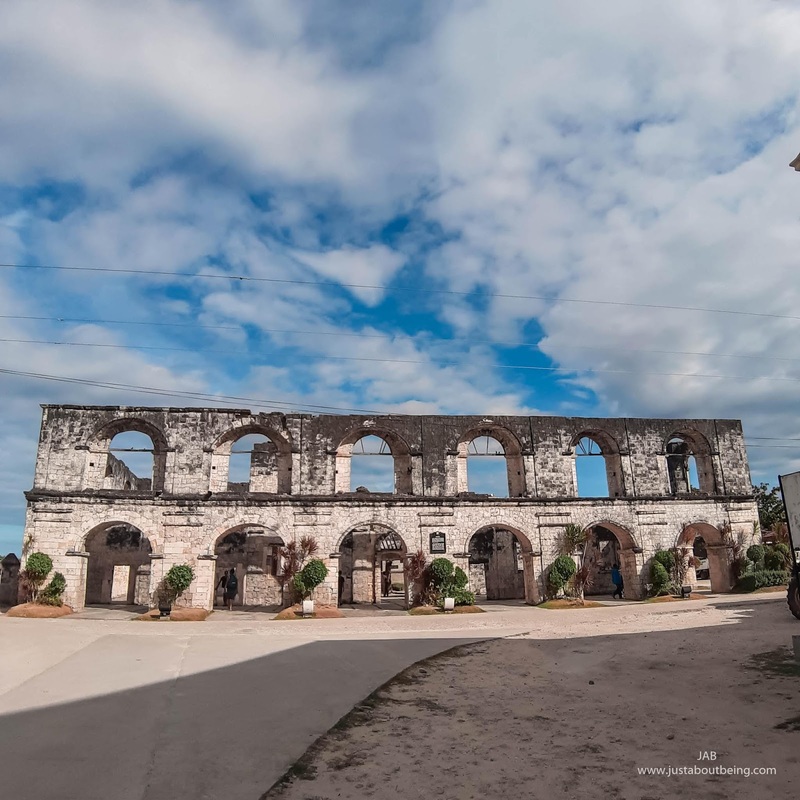 You can also find Museo Oslob beside Cuartel. Admission to the museum is free but picture taking is not allowed. 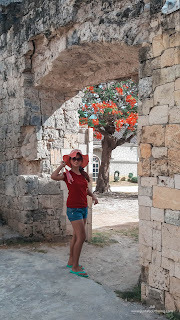 The cuartel can easily be located. We took a bus from Cancua-ay to Oslob proper and got off at the corner of Aragones St and N. Bacalso Ave. It's just 1 block away from the 7-11 convenience store. Then, we just walked 2 blocks away until we found the old coral stone structure. Click here to know how to get to Oslob. If you have more time, I suggest you explore the area and not just the Cuartel. This location here has a lot to offer. It will bring you back to the Spanish era. 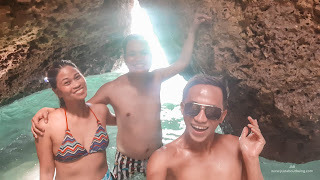 My friends and I were just video calling at midnight when we suddenly agreed to go to Oslob. So I slept for about an hr after the call, woke up at 2:45am, hastily packed my bag then head on to Cebu South Bus terminal to meet my friends Jomvi and Eking. 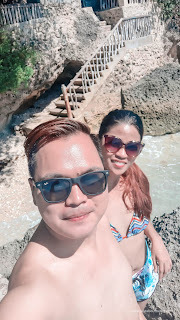 We went to Oslob Public Market upon arriving in Oslob and bought food to bring to the beach. We bought, a kilo of lechon for P450.00 and a kilo of Mangoes for P120.00. We also bought some cooked rice from the carenderia and water and softdrinks from 7-11. 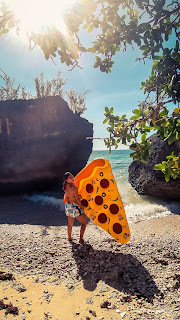 We headed to Cancuaay Beach Resort when we had everything we needed. Cancuaay Beach Resort is a family-owned resort in Tanawan, Oslob. 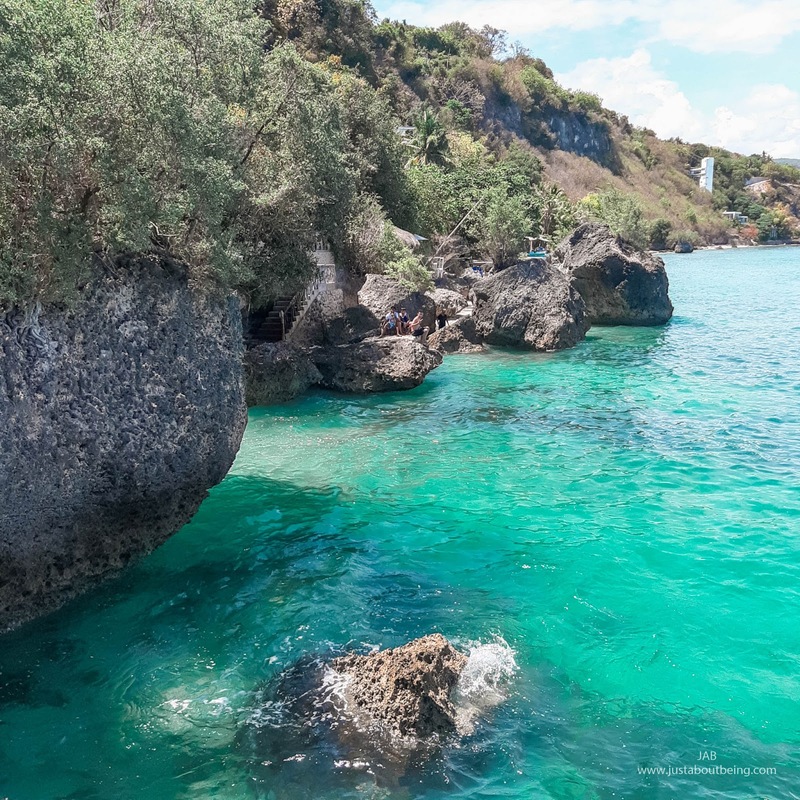 It boasts its blue, clear water beach and rock formations. 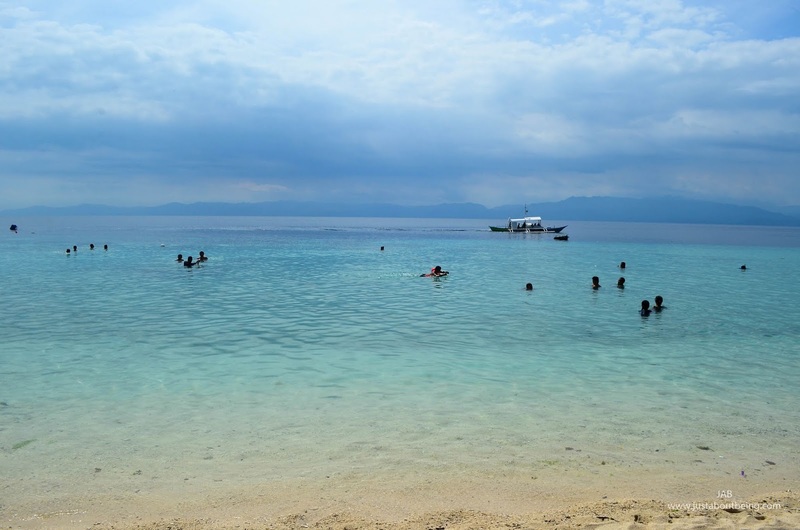 The resort is also affordable and the staff which are just family members, are also very accommodating. We arrived at the resort at around 7:30 in the morning. Although cottages are free, we were just assigned to a table since we were just a small group. We immediately set up our table, ate our breakfast and carried on with our trip. Room - P2,500.00, good for 2, with free breakfast. 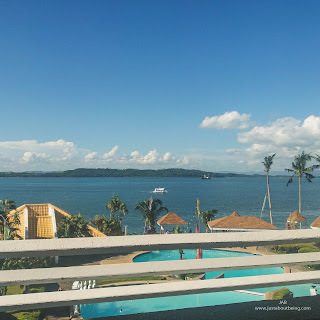 How to get to Cancua-ay Beach Resort from Cebu City. Get off the bus near the Public Market so you can still buy food and other essentials.The Resort is far from downtown, so it's best to buy all the things you need first. From the market, take a jeep going to Tanawan, Oslob. The fair is P10.00. 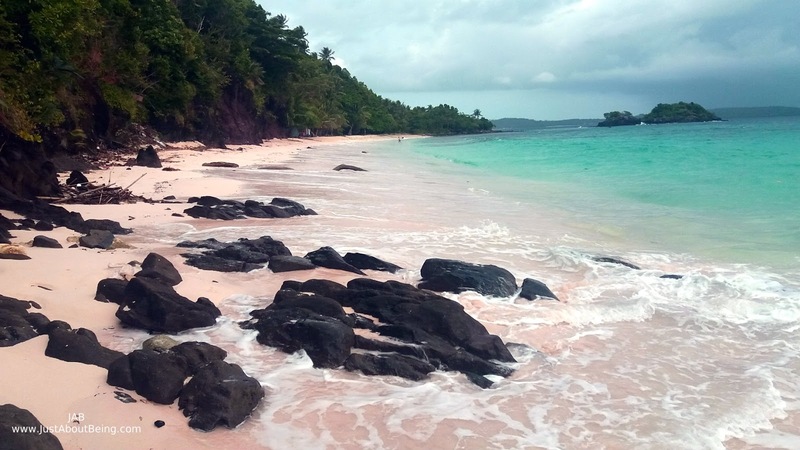 Just tell the driver you are getting off at Cancua-ay Beach. 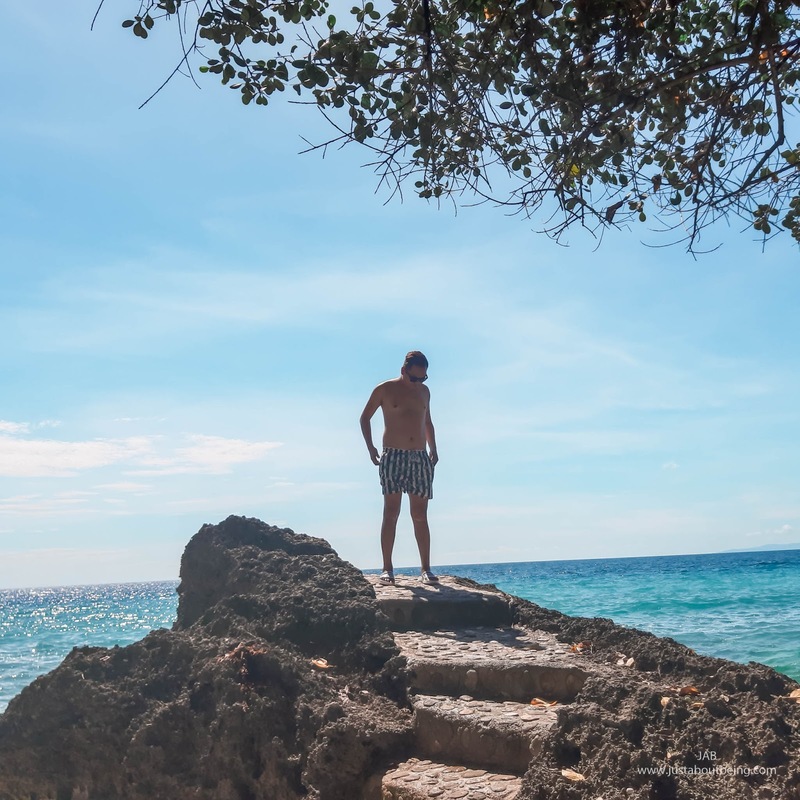 You have to go through a long stairway from the road to the beach. Going done is easy but going back up is a different story. My friend and I had to stop half way up, to catch our breath. The water is not calm. Contrary to how it may seem on social media, the water is wavy. 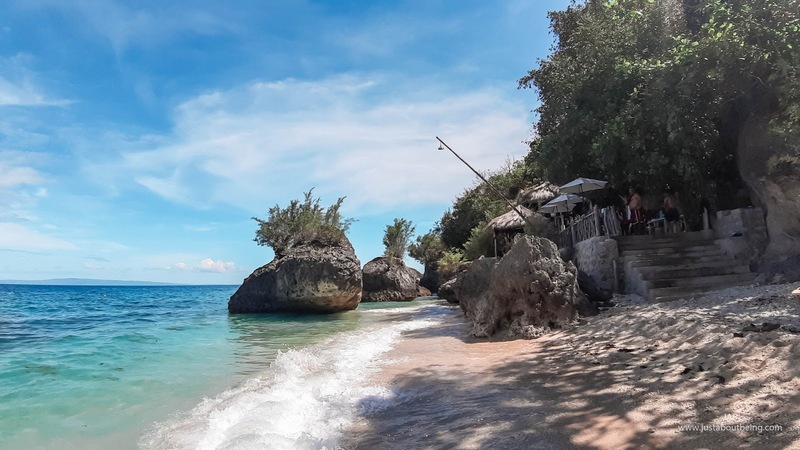 The sand isn't powdery so if you have a sensitive feet, you may need to wear your flipflops at all time. There is no wifi but you can use your mobile data if you need to work or update your social media. Globe has 4G data coverage. Contact: Villa Modern Deluxe to book a room. 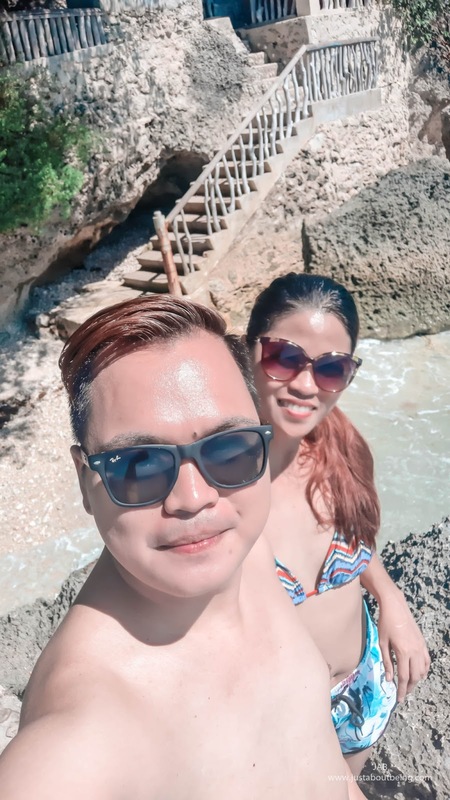 To kick off the beach-and-summer-feels, of the dry season, we decided to go to Orongan Beach Resort in San Remigio, Cebu. Since I have a class on Saturdays, we decided to go on a Sunday and booked a room few days before our trip. 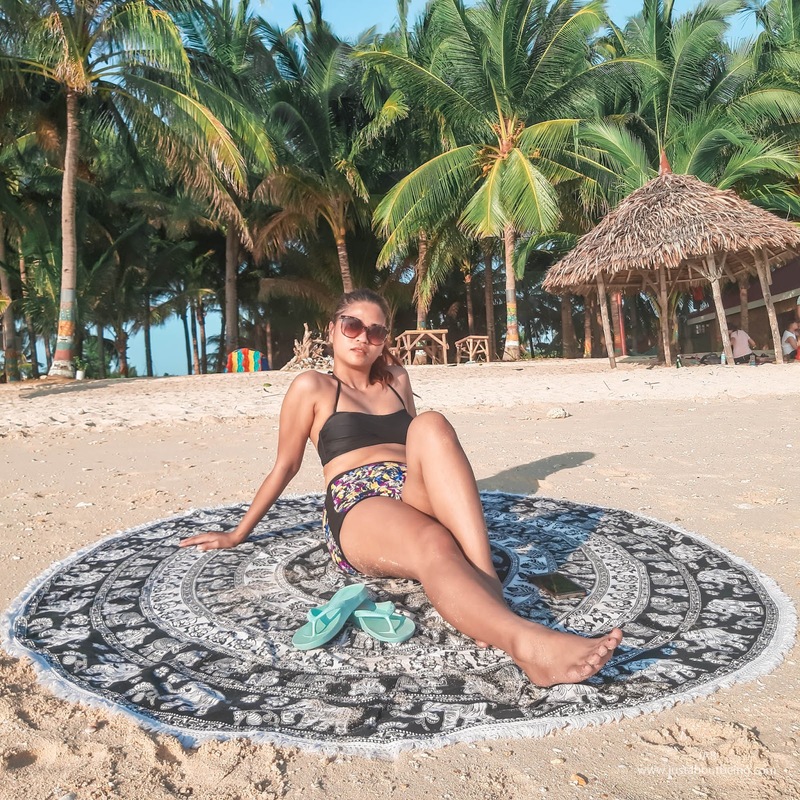 Orongan Beach Resort is a family owned resort, highly known for the beautiful, clear water, white sand beach, affordable rates and the beach camping experience. Many would set up tents during Saturay night. We arrived early Sunday morning, and the resort is packed with tents and campers. However, during the night it looked like we were the only ones that spent the night. The Information center of the resort also serves as their mini kitchen. We did not have any food when we arrived. We just bought a kilo and a half of pork and 1 kilo of rice on the resort and had them cooked for a fee. 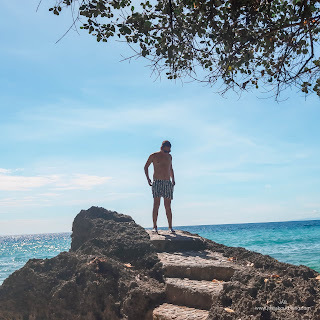 We spent the day, exploring the shores of Anapog, San Remigio and swimming. The view of the sunset was also breathtaking. People even gathered to take photos of the sunset. We booked the room with private CR. It's more of a beach cabin and with a mini fridge, water heater and mugs for your coffee. It has a full bed and a sofa bed. It also included 2 electric fan available for use. The CR is also spacious enough. This was good enough for the three of us. How to Get to Orongan Beach Resort from Cebu City. From San Remigio Public Market - take a tricycle to Anapog. 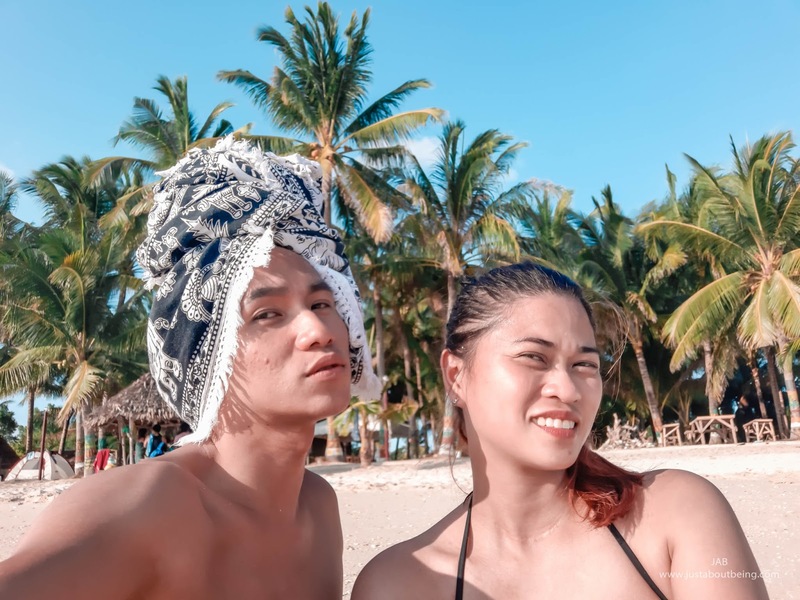 Just inform the driver you are going to Orongan Beach Resort. The driver asked P50.00 fair from the each of us. Buy food first from the Public Market before going to Orongan. The resort is far from the market and the trasportation is a bit of a challenge. 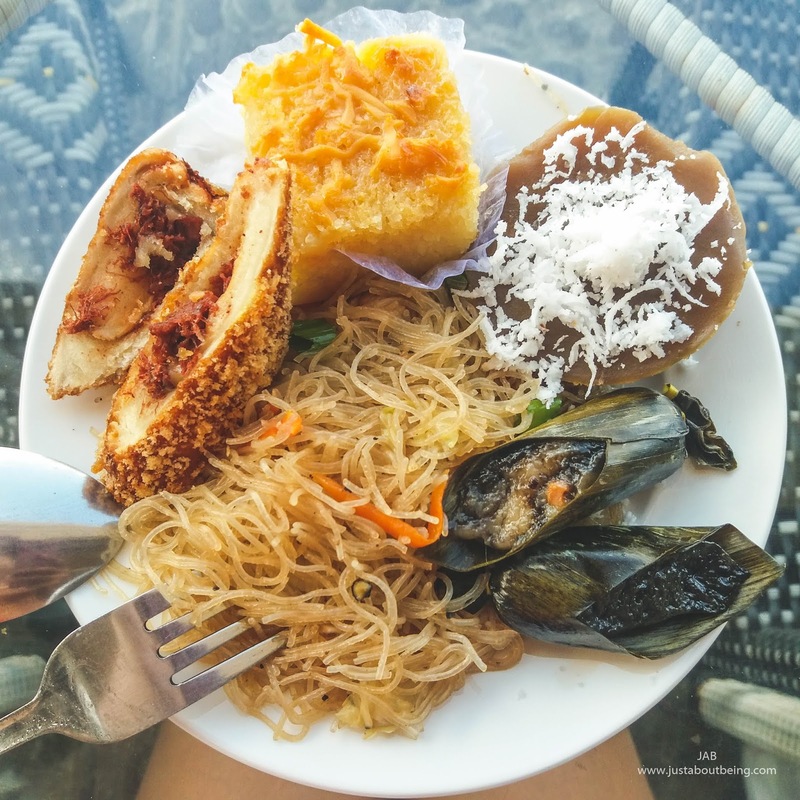 If not, you will have to deal with the pricey food or what's available at the resort. If you don't have your own car. Maybe you can ask the tricycle driver to fetch you at an agreed time. We did not do this and we checked out early in the morning as we wanted to catch the first bus going back to Cebu City. We had to walk for about an hr as we could not find a tricycle. There is no WiFi in the resort, so if you are a freelancer, bring your own pocket wifi. We also noticed that although both Smart and Globe has 4G signal available in the area. Smart has better coverage. Contact Orongan Beach Resort through their Facebook page to book a room and for more information about the resort. 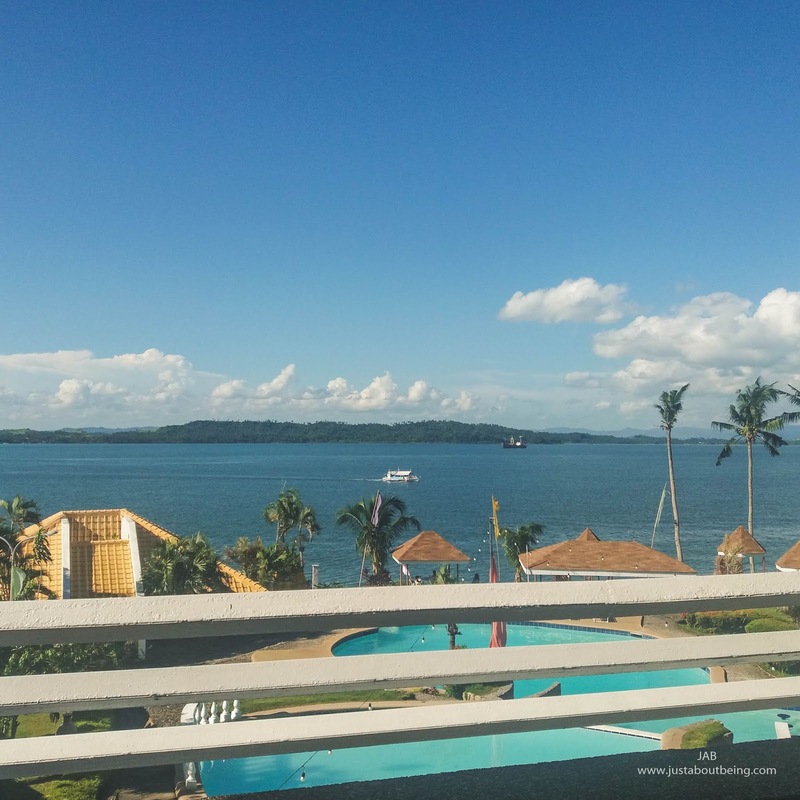 In the heart of Tacloban City is a resort hotel strategically located atop of a Hill with overlooking view of the San Juanico strait. 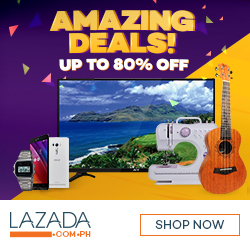 It was originally conceived by the former first lady, Imelda Marcos. In the early 90s the resort was closed for restoration and innovation and was reopened in 1994. 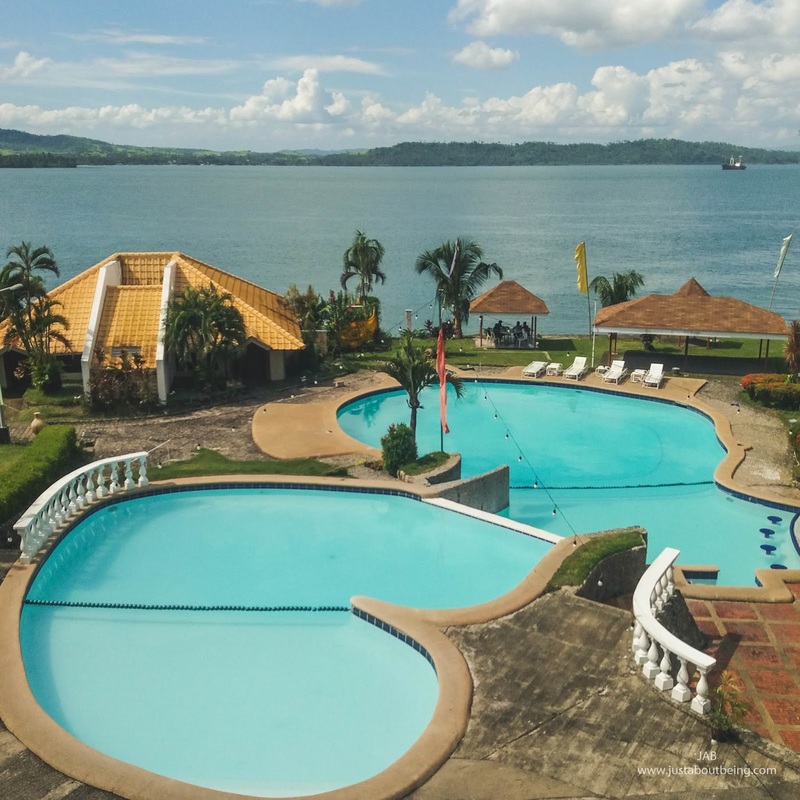 It has withstood several storms, including Yolanda, and Leyte Park Resort Hotel still more or less maintains its original glory. 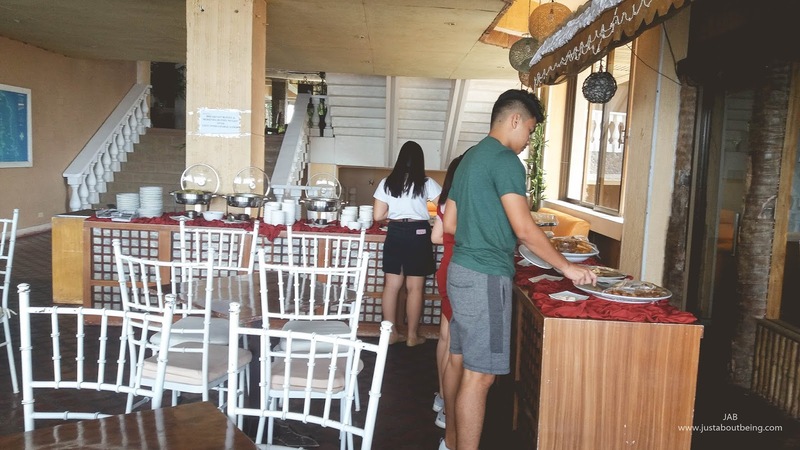 Aside from the breakfast buffet, Leyte Park Resort Hotel also offers Merienda Buffet every afternoon. Anyone can go there, and enjoy a sumptous Filipino snack. The snack bar is full of native delicacies to feast on. We went there on a Sunday afternoon to grab a snack as we didn't have anything better to do. We had to wait a few minutes for the buffet to open as we went there a little early. While waiting, I opened my laptop and did worked for a few minutes. The buffet is open from 2- 6 PM. We were probably the first ones there. People started coming when the buffet was open. 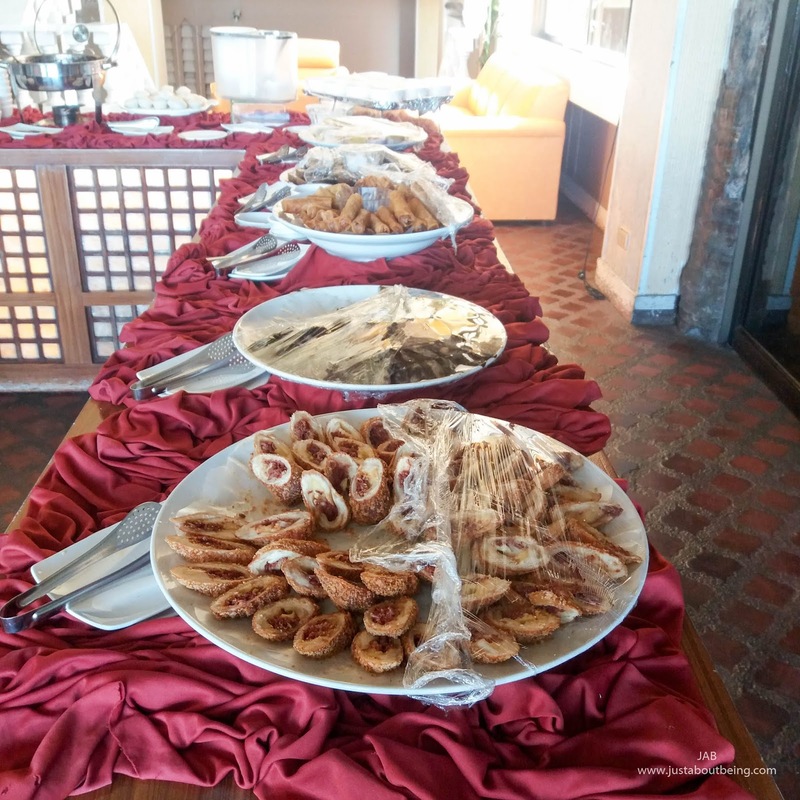 For around 150 each we enjoyed scrumptious snack and a choice of drink. When we were already full, we went down to the pool area, enjoyed the scenery and took some photos. We went home still full, we didn't have to eat dinner. 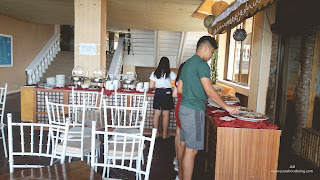 Veranda Cafe (the hotel's buffet area) or Leyte Park Resort Hotel has free wifi. So if you are a freelancer you can work their too while enjoying your food. However there was no power outlet so you need to have a fully charged laptop. Last week I logged in to my Upwork account and immediately noticed a banner notification of a new Upwork feature. 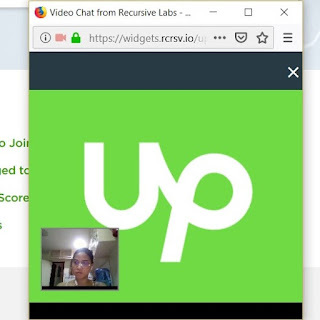 As part of Upwork's effort in keeping the platform secure and fraud-free they are adding a new identification badge for those who haved passed the 2 verification process. The first is through submitting a government-issued ID, which I have done years ago and the video verification call. I finally got the chance to do this today. How to get verified via the Upwork Video Verification proces? The process is just pretty simple. I just clicked on the Get Started Link which opened the upwork support chat box. I waited for a short while for a support to be available to assist me. Then the support agent asked me to click on a link for the video call. She then asked me a couple pretty basic profile questions. She asked me my name and my email. That's it. After a minute from the call, I got my Verified Badge. I think they are currently prioritizing the top rated freelancers but I'm sure this will be rolled out to every one to avoid fraud. * Make sure you have a working web cam. The important thing in this process is that they can see you. * You may get asked other profile verification questions like your mailiing address. She is a self-supporting MBA Students while working as an online freelancer. She has been an online freelancer since 2010 and has maintained a 5 star-feedback and 100% Job Success Score. 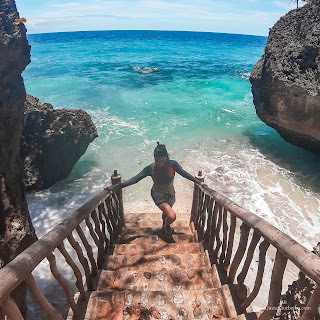 She blogs about the lifestyle of a freelancer and her passion for traveling. She is a Digital Nomad. Please see About Me page for more about her and the blog. 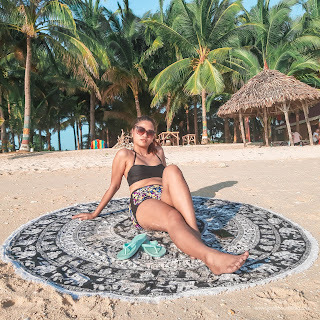 This is a lifestyle blog which focuses more on traveling, freelancing and everything in between. Please check out my About Me page to know more about me and why this blog.